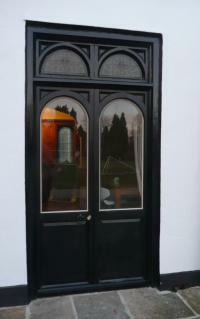 These two sets of double doors were made as direct replica's for a grade 2 listed mock tudor building. 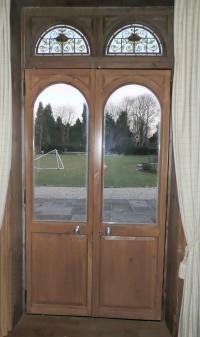 The doors are constructed from pine and are 90mm thick! 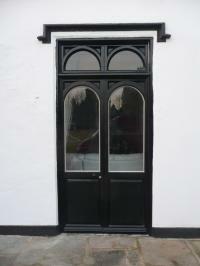 The locks are upgraded whilst retaining original styled hardware and the internal is stained and distressed to match the original pannelling.